We'll also send you a confirmation email, in case you want to download the file at a later date. This guide will provide insight into important considerations regarding resource and energy efficiency, and tax credits. 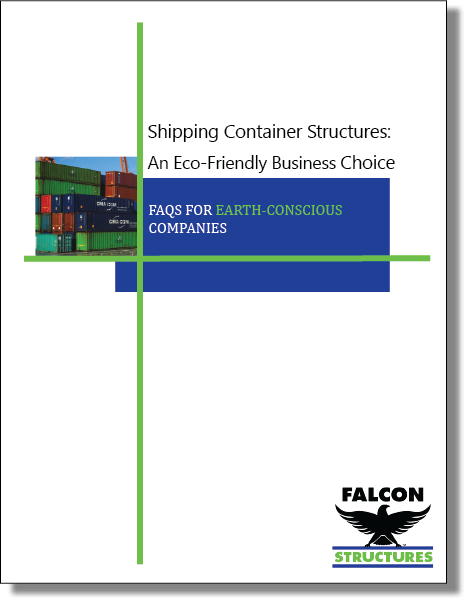 You’ll learn how your business can best maximize the environmental benefits of shipping containers. If you have any other questions about shipping containers or Falcon in general, feel free to call us at 877-704-0177 or send us an email at sales@falconstructures.com. We are also happy to give you a free no-obligation quote on your modified shipping container project.